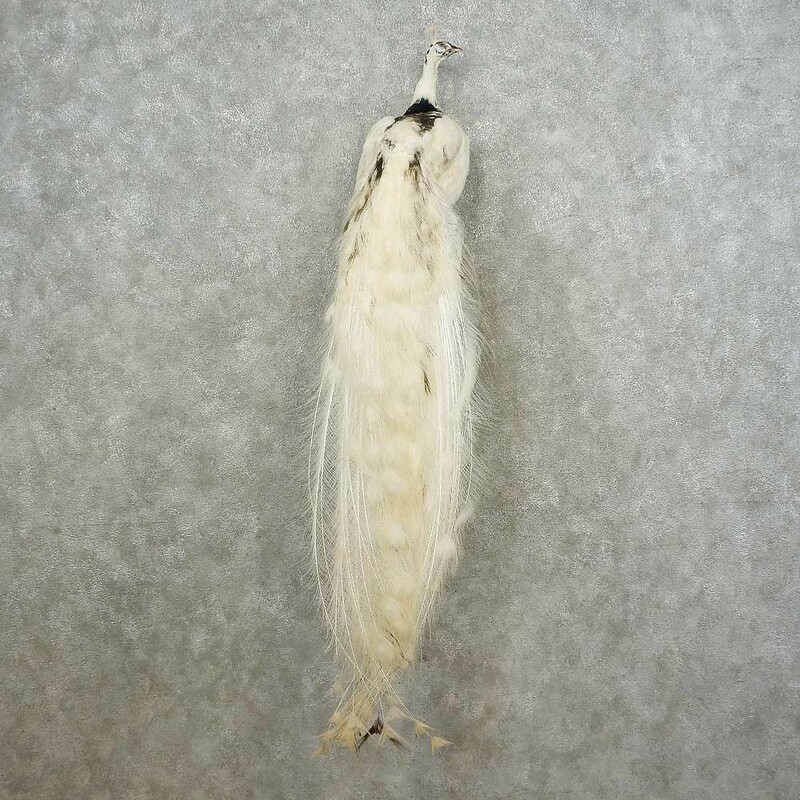 This is a beautiful Pied Indian Peacock life-size taxidermy bird mount, posed perched on a wooden plaque, displaying it’s feathers out into the room. The beautiful, chalk-white plumage and stunning feather quality and outstanding, as is the top-notch craftsmanship, earning this piece our Premier Plus™ overall quality rating. All applicable dimensions are included to help ensure this item will fit within your intended display space. The Indian Peacock (or "peafowl") is the largest bird in the pheasant family. Though peacock can be found in habitats all over the world, their origin is in India. While both genders of bird are large, the male is larger, and displays brighter colors and feathers to attract mates and to distract predators from the females, who often tend to the young. Their Diet consists mostly of seeds, fruits and insects.